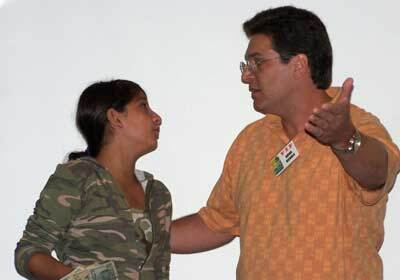 Photos provided by Barb Heiss, Robert Taylor, Patricia Gonzalez, Jim Clatterbaugh and Howard Harris. 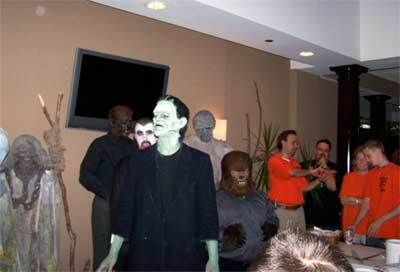 Welcome to Monster Bash 2007! People started arriving Wednesday, two days before the start! 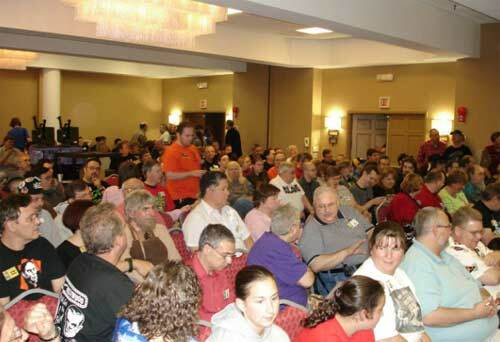 A section of the movie/event room at Bash 2007. 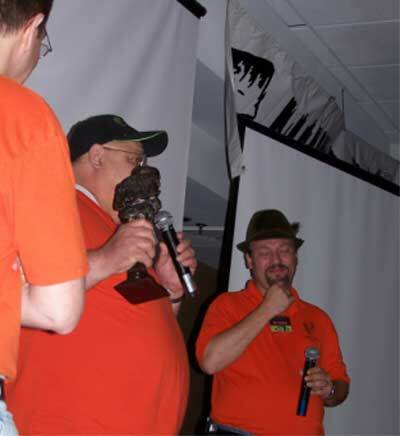 The Monster Bash Award (MBA) was unveiled at Bash this year. Affectionatly called "The Forry." It's Forry Ackerman's face on the Frankenstein Monster, sculpted by Daniel Horne. 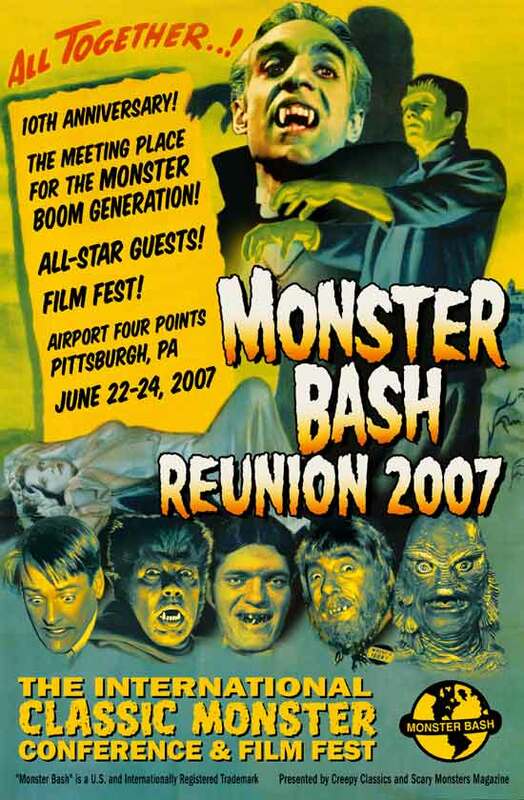 I's a lifetime award for supporters of Monster Bash - The Classic Movie Conference. 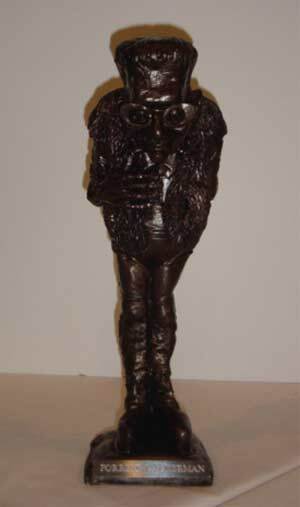 The first award (pictured here) went to Forrest J Ackernan himself. 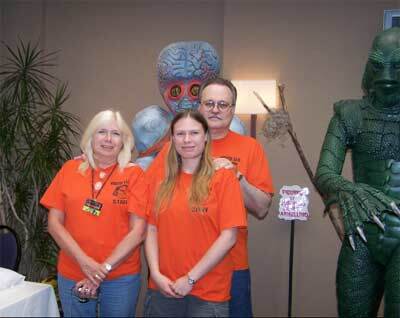 The second went to Bob Pellegrino for his hard work behind-the-scenes (and sometimes in front!) at Monster Bash for ten years! 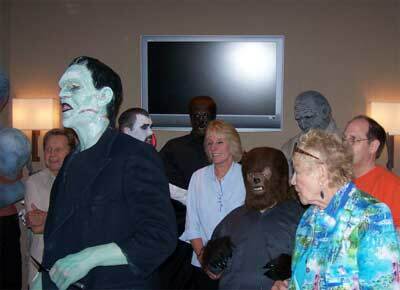 The Armellino Family near their display of life-size monsters at Bash! 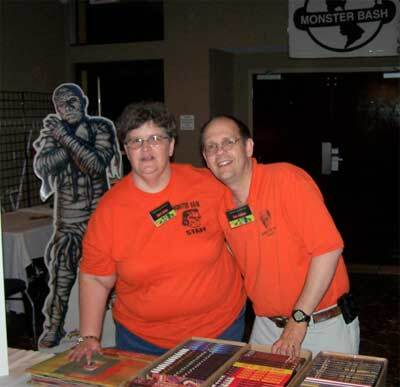 Barb Heiss and Ron Adams near registration at Monster Bash. 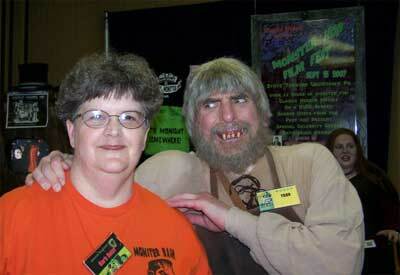 Bash staffer Barb with Michael Thomas as Ygor! The movie room was packed all weekend. 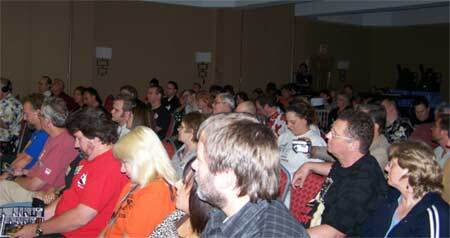 Here attendees listen to Kevin McCarthy (INVASION OF THE BODY SNATCHERS) speak. 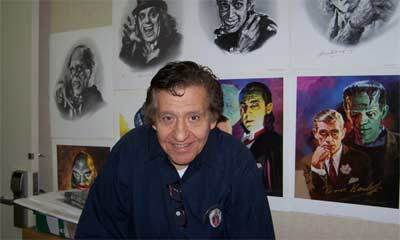 Monster Bash guest artist - Basil Gogos! 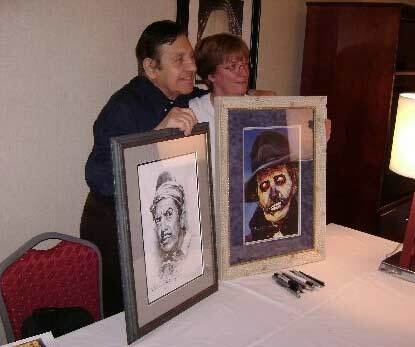 Attendee Sara gets a photo with Basil Gogos. 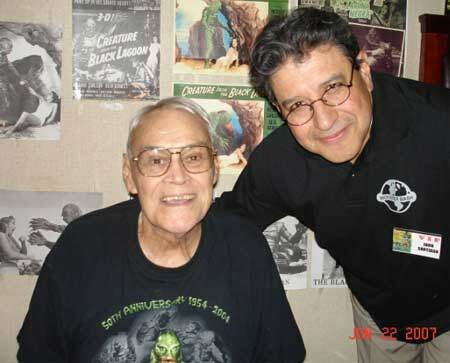 The Creature From the Black Lagoon - Ben Chapman with attendee John Santiago. 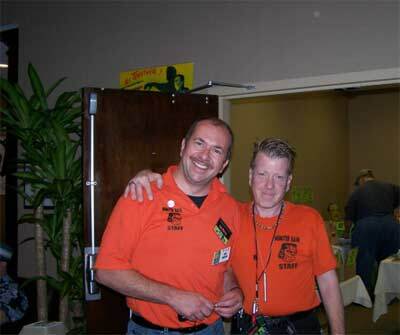 Smiling "B's" - Ben Martin and Bobb Cotter at Bash! After leading the audience in the "Festival of the New Wine" song, Bob Pellegrino gets a MBA Award - The Forry! 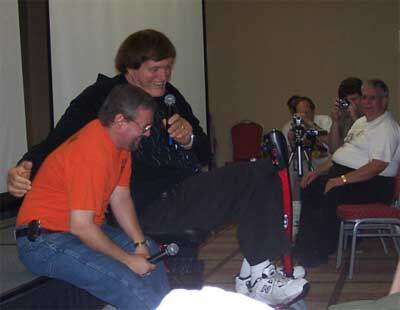 Bob gets a "ribbing" from Richard Kiel in a Q&A session! 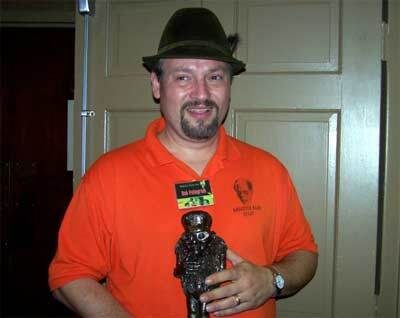 Bob Pellegrino with his "Forry." Brianna and Brian NIchols play-off of an old Abbott & Costello routine, cracking up the Bash crowd! 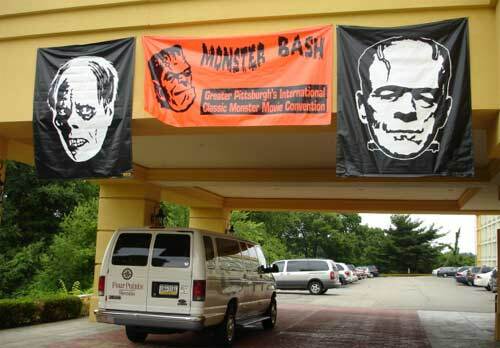 In the front lobby, five massive sheet cakes are prepared to serve to hundreds of Monster Bash attendees in quick order! Guests of Honor Kenny Miller, Dee Ankers-Denning and Laurie Mitchell join the group behind the cake tables in the lobby. Getting ready to cut the cakes!